Few historical problems are more baffling in retrospect than the conundrum of how Hitler was able to rise to power in Germany and then command the German people – many of whom had only marginal interest in or affiliation to Nazism – and the Nazi state. It took Ian Kershaw – author of the standard two-volume biography of Hitler – to provide a truly convincing solution to this problem. Kershaw's model blends theory – notably Max Weber's concept of ‘charismatic leadership’ – with new archival research into the development of the Hitler ‘cult’ from its origins in the 1920s to its collapse in the face of the harsh realities of the latter stages of World War II. Kershaw’s model also looks at dictatorship from an unusual angle: not from the top down, but from the bottom up, seeking to understand what ordinary Germans thought about their leader. Kershaw's broad approach is a problem-solving one. Most obviously, he actively interrogates his evidence, asking highly productive questions that lead him to fresh understandings and help generate solutions that are credibly rooted in the archives. 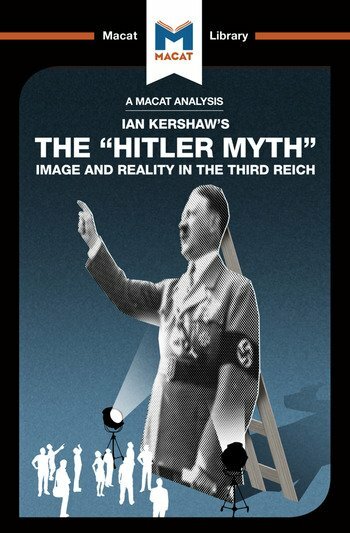 Kershaw’s theories also have application elsewhere; the model set out in The ‘Hitler Myth’ has been used to analyse other charismatic leaders, including several from ideologically-opposed backgrounds. Dr Helen Roche teaches History at the University of Cambridge, where her work focuses on education and the uses of classicism in Nazi Germany. Her second monograph, The Third Reich's Elite Schools: A History of the Napolas, is forthcoming with Oxford University Press.